The 2017-18 season was unprecedented in so many respects for True North Sports + Entertainment. 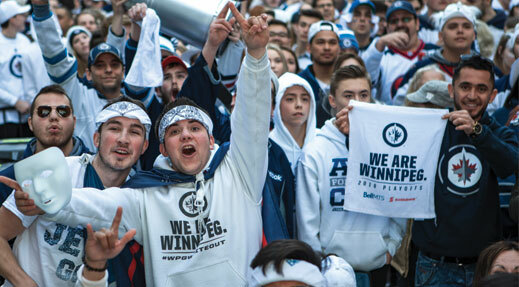 We are proud to share with you highlights of an amazing hockey season, the historic #WPGWhiteout, the incredible community support for many worthwhile initiatives, the growth of our foundation programs, our new endeavours, and so much more in Our True North: Report to the Community 2017-18. Thank you to our fans and partners who continue to support us as we strive to be a consistent source of pride for our entire community.